Star Wars. Has two words strung together ever merited so much thought and discussion? And there’s so many possible discussion topics you can have with those 2 words. Here’s a few: Synthetic or natural crystals make the best lightsaber? How many episodes were originally planned? 1? 3, 9 or was it 12? Is Lucas racists? Would the forest moon of Endor have been destroyed by the destruction of the 2nd Death Star and if the answer is yes, isn’t the Rebellion responsible for the genocide of the Ewoks? Which sucked more: Phantom Menace or Attack of the Clones? Does Lucas think he is a God? And on and on and on. But out of all the possible discussions, the one that sparks my fancy more than any other is this. Did Lucas really have everything planned out exactly as we have seen it unfold in the 6 movies filmed so far? The existence of this debate makes no sense to those under the age of 25 (or those with a social life). But for those of us who were children in May 1977 there seems to be some revisionist history going on over there at Skywalker Ranch. Spoiler alert….Darth Vader is Luke’s father. But was he always meant to be? Did you know Darth Vader is Dutch for Dark Father? Isn’t that proof enough that Lucas meant it to be that way all along? If not then where does the name Vader come from (answer at the end of this review – stay tuned). 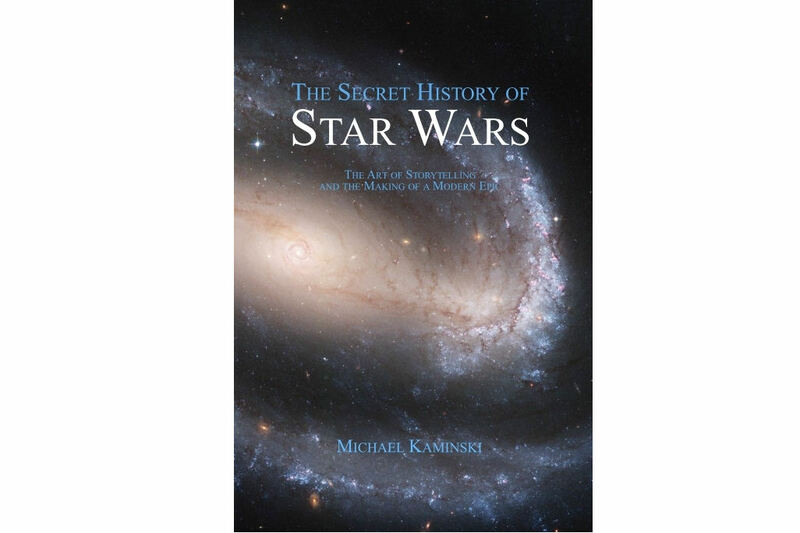 I just finished reading (take a deep breath and try to say this outloud): The Secret History of Star Wars – The Art of Storytelling and the Making of a Modern Epic by Michael Kaminski. Exhale. This 626 page un-illustrated, single spaced tome is chucked full of all the answers revolving around what Lucas now claims was the real “making of Star Wars” and what actually was. 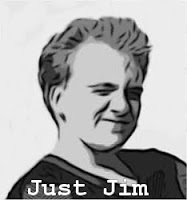 Kaminski sites thousands of interviews (TV, magazine, newspaper) as well as other source material like the Star Wars – The Annotated Screenplays, etc. and pulls together the first ever, comprehensive history of how everything actually went down. Here’s a few factoids to wet your appetite. We’ve all heard that the making of the first Star Wars movies caused Lucas to have a near mental breakdown but did you know that pretty much the same occurred with Empire Strikes Back? Did you know this is why Lucas finished Star Wars with Return of the Jedi and didn’t film anymore for over a decade? Did you know after Jedi was released, Lucas’ wife divorced him and left him in financial ruin? Did you know that in almost all possible ways, Star Wars was dead and gone by the early 90’s but it was 3 books by Timothy Zahn that gave the whole thing a second life? Did you know the names Mace Windu and Binks were around back in 1976? The “Other” mentioned in Empire Stikes Back was Luke’s sister but it wasn’t Leia and we weren’t supposed to meet her until Episode 7? What happened to Episodes 7, 8 and 9? Ask Lucas and he will now tell you he never planned on making them. Did you know he at one point was saying there was going to be 12? The real interesting aspect is why Lucas would feel the need to change the story of how it all played out. He’s already credited with being a super genius so why not just let the facts be? He hated writing. He wanted to remake Flash Gordon not an original story. Star Wars was a stand-alone movie. There was no “Episode IV: A New Hope” when it was first released. Pre-production work of Empire Strikes Back was titled “Star Wars II”. These stories were “From the Adventures of Luke Starkiller”, not “The Tragic Story of the fall and redemption of Anikan Skywalker”. Darth Vader was just a thug, a henchman who had very little screen time, who answered to Grand Moff Tarkin and was suppose to die at the end and only survived to give the movie that “Stay tuned next week ….” Feel. There never was a leather-bound binder filled with parchment paper and the words “The Journal of the Whills” scratched onto the front page by ink and quill which detailed the entire account from Qui-gon Jinn flying to Naboo to settle a trade dispute to the Ewoks celebrating their victory over the empire on Endor. Darth was not a Sith title it was Vader’s first name. And where did the name Vader come from? Lucas mentions that in high school he was the nerdy drama type who got picked on by the jocks all the time. Star Football player Lucas’ graduating year was named…..Gary Vader. So why the need to change the history to make himself look even more impressive? Because Lucas does think he’s a God and this book gives him the smack down he deserves for making us endure a 10-year old Anikan Skywalker. Yippee!!!!!!! A must read for certain types of Star Wars fans like myself. If you think Empire Strikes Back was the most boring episode, I have a bar of unused Jar Jar Binks soap I’d like to sell you (mint in package $ 0.20). The Secret History of Star Wars gets 4 stars.